 Mars, a powerful co-ruler of your sign, will stay in Aries for the biggest part of July making your career a rather tough sphere of your life. You have a lot to do and much responsibility to bear but despite all these factors, you don’t receive the recognition and respect you deserve. Another issue of your concern is your health. However, closer to the end of July things will get easier. Moreover, Mercury and Venus that will remain in Leo will help other people listen to you attentively and really hear what you say. Those who have power will be kinder than usual to you and it is easier than always for you to work and cooperate with others. Which diet will help scorpio to hit their dream weight?